We get asked all sorts of questions every week, so we thought it would be helpful to start compiling our answers all in one place. Particularly as some of the same questions come up quite a lot. We’re just beginning the process of adding to our FAQ section, so please do let us know if there’s a soapy question you’d like answered. How natural are your soaps? 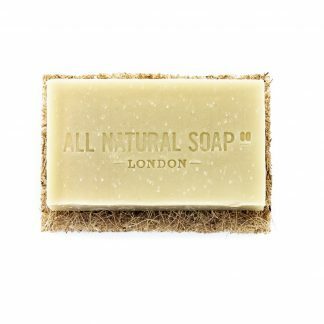 When we call our soap ‘natural’, what we mean is that all the ingredients we use to make it are natural. What is our definition of natural? Well a commonsense one. If it comes from or is a plant, vegetable, mineral or animal byproduct (e.g. honey or milk) then its natural. Hence our use of e.g. olive oil (from the olive fruit) and shea butter (from the shea nut) in our soaps. Note: all our soaps are vegetarian and therefore no actual parts of animals (e.g. lard or cochineal) are present in any of our soaps. If something is artificially manipulated in a lab (ie compounds are put together in ways that don’t occur in this way in nature), then this won’t make it into our soaps. These sorts of compounds are often referred to as ‘nature-identical’ ingredients and cover so-called ‘natural’ colourants like micas, or ‘natural’ fragrance oils. Many ‘natural’ soaps contain these ingredients, Ours do not. If it hasn’t been extracted directly from the plant (or isn’t still a plant – e.g. seaweed or carrot powder), then it doesn’t make it into our soaps. I eat olive oil and I can tell you, olive oil is definitely not soap! In our daily lives, we are used to encountering (and eating!) all sorts of oils; olive oil being a common one. How is it then that this liquid I eat on my salad is now solid and I can wash with it? Confusing, right? As the majority of us aren’t trained chemists, this can be a hard one to get your head around. In order for liquid olive oil to become solid and, importantly, something we can wash with, then it needs to undergo a change known as saponification. Saponification is the process by which oils (or fats and butters) become soap. How do you saponify olive oil, well you need to use an alkali or ‘lye’. Do you use an alkalki or 'lye' to make your soaps? Yes we do, otherwise the olive oil we sent you in the post wouldn’t clean you. It would just be olive oil. In our case, it would also still be liquid. (Not very helpful – and pretty messy for the postman – given that our soaps are packaged in non-water-tight biodegradable sleeves as opposed to bottles!). BUT HERE’S THE IMPORTANT PART – There is no lye in our soap bars. Have a look at our ingredients. As I’m sure you’ve noticed, we, like every other cosmetics company that’s doing things right, list our ingredients in what looks like weird Latin. (I know, we don’t think it looks very friendly either, that’s why we also offer a plain english version on our website and packaging). Why do we do this and what has this got to do with lye? No lye in our formal ingredient listing = no lye in our soap bars. By law we have to list all the ingredients our soap contains in INCI format (International Nomenclature of Cosmetic Ingredients), so that they can be understood the world over. If there were lye in our soap and we didn’t list it in our ingredients, then we would be breaking the law. So no lye in our ingredient listing means no lye in our soaps. ‘Lye’, or an alkali, IS used to saponify our olive and coconut oils (make them into soap), but none remains in our final bars. This is because our formulas are very carefully calculated, with our chemist, to ensure this. I don’t speak INCI. Are you SURE the lye really doesn’t appear in your ingredient listing? Good question budding chemist! The fact that lye is used to make our soap is indeed reflected in our ingredient listing. So, in short, Olive Oil (INCI Olea Europea), an acid, is made into soap, or ‘saponified’, by adding an alkali (lye), or ‘base’, to it. The alkali we use is called Sodium Hydroxide and therefore what is produced is the salt of olive oil (Sodium Olivate, or olive oil soap) plus glycerin. Olive Oil you eat = Olea Europea. Olive Oil you wash with = Sodium Olivate. Cool hey! As I’m sure you’ve already worked out, the ‘Sodium Cocoate’ in our ingredient listing is indeed the salt (or soap) of Coconut Nucifera – coconut oil to you and me. Well herein lies the rub. The soap making process naturally produces lovely moisturising glycerin. We leave this exactly where it belongs – in your soap bars to nourish your skin. This is one of the reasons our soaps feel so great to use. Oh, what do many companies do? They remove the glycerin from their bars. Why? Because its valuable and can be sold on to other parts of the cosmetics industry. So all soap is lye free then? No, this isn’t necessarily the case. If a soap formula is badly calculated or sloppily made then it is very possible that the final soap bars contain lye. 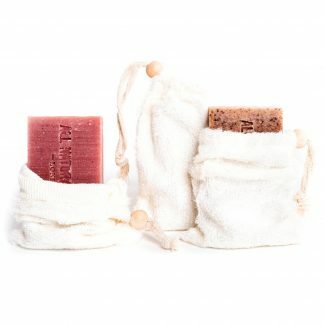 Safe soap making relies on proper chemistry; and an improper understanding of the reaction and process can result in harmful bars that contain lye. Every aspect of our process – from formulation through to making and curing the soap – is professionally managed and properly controlled. Sodium Hydroxide? I don’t like the sound of that. Well perhaps, but chances are you’ve actually eaten it! Have a quick google on olives or pretzels. So probably actually not that scary. Also, you CANNOT make soap without it* and humans have been making soap with it in various forms for 1000s of years. And remember, NONE of it remains in our final soap bars. Note: You might encounter a person or company who claims that their ‘handmade’ soap is NOT made with sodium hydroxide. This is because they have purchased a pre-made soap base, melted this down and then added some sort of fragrance or colourants to it. Yes it certainly is true that THEY didn’t use sodium hydroxide to ‘make’ their soap. But how do you think the pre-made base was made? You cannot make soap without sodium hydroxide. Fact. To put it in other terms: this is like buying a cake base, adding some jam and icing to it and then claiming that your ‘handmade’ cake was made ‘without baking’. We make real soap and therefore do not use pre-made bases. We therefore have to use sodium hydroxide to make our truly handmade bars, but none remains in our final soap bars. *Note that liquid soap is made with potassium hydroxide. Do you make your own alkali/sodium hydroxide? Traditionally (in the US for example) the alkali used to make soap was created by running rain water through wood ash. The concentration of the solution was then estimated by placing an egg in the solution. A sinking egg signalled a weak solution, a floating egg, a stronger one. Cool hey? When we first started making soap we asked our chemist whether we could use the ash-egg method to make our own alkali. Not surprisingly, he said no. (A good call we reckon as its not really all that exact!). The ash-egg method also doesn’t comply with the cosmetic regulations our industry is governed by, so we don’t use it. Our Sodium Hydroxide is produced for us in a very controlled manner so that we know its exact concentration. If you’re interested, its production method dates back to the late 18th century, starts with salt (that you eat), and is the invention of the French chemist LeBlanc. So is your soap really natural? What’s your definition of natural? If you mean – is it naturally ocurring and does it grow on a tree? Then the answer is, of course, no. If you mean – is it only made from ingredients that people would commonly understand as being natural; in other words those that come directly from a plant, mineral or animal byproduct? Then the answer is yes. We would add though that the only animal byproducts we use in our soaps are honey and milk (no actual animal parts are used, such as lard or cochineal). Also, because we make all natural soap, some of our oils have necessarily undergone a saponification process (using an alkali), in order to change them from being an oil you can eat into oil that makes you clean. NONE of that alkali we use remains in our final soap bars. Our soaps are also free from ‘nature-identical’ ingredients, such as micas and synthetically-produced so-called ‘natural’ colourants and fragrances. They are also produced using our unique ‘extra cold’ method. This involves a refusal to heat our oils* (as the majority of even ‘cold process’ soap makers do), and a focus on respecting and supporting the natural soap making reaction with minimal interference. (For example, we never try to ‘force cure’ our soaps with the use of dehumidifiers. Our soaps simply air dry for as long as is necessary. Usually at least 4 weeks, often up to 6). *The only exception is tiny amounts of very stubborn cocoa butter in the depths of winter, that we heat very very slowly. Is there any soap that does grow on a tree/is naturally occurring? While no actual hard soap, or bottled liquid soap, grows on trees; nature does produce a number of plants that contain saponins. While not ‘soap’, these plant-containing saponins can be used to wash with and to wash clothes. 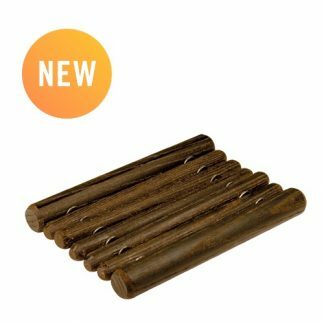 For example, when pounded, the yucca root produces a soap-like substance that can be used for washing, as do horse chestnut seeds. Traditionally, the latter was used to clean cloth and even delicate tapestries in the UK. Anyone who has cooked lentils will also have noticed the bubbles they produce when you rinse them. Again, this is to do with their natural saponins. In India, lentil-water is still used by some today to wash their hair. So naturally-occurring washing options are out there, but we’d personally take the convenience of a well-formulated, 100% biodegradable, natural soap bar over taking a pestle and mortar + yucca root into the bath! Can you wash your hair with soap? Have a read of the blog post we wrote on the subject as you may need to make some adjustments for your water conditions. Why should I choose your soaps? Here’s some more information about what we’re all about and what sets us and our soaps apart. How 'green' is your packaging? Here you’ll find detailed information about everything we use to send your soaps out to you – from the compostable sleeves to the hand-wet packing tape. Yes, the majority of our soaps are vegan! We make over 15 varieties of vegan soap, all our accessories (bar one) are vegan, and our hampers? You guessed it – totally vegan! Find out more about our range of vegan products.